David is a core member of EARN's executive leadership team, leading the development and implementation of EARN’s overall strategic direction and holding primary day-to-day operational responsibility for EARN’s success. David has been working in the intersection of business and social impact for over a decade. During that time, he advised, launched, and restructured numerous enterprises. 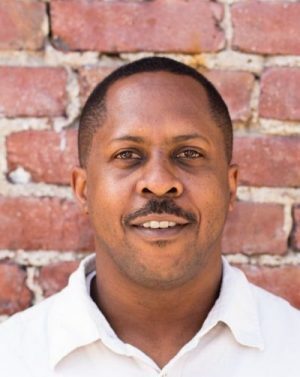 An experienced executive and social entrepreneur, he has led revenue model development, operations, systems development (finance and technology), talent management, strategic partnerships, acquisitions, and sales. Previously, David was founder and Principal of Social Impact Ventures, a specialty consulting firm that provides hands-on interim executive management and advisory services to organizations seeking to accelerate performance and maximize impact. He has also held leadership positions at REDF and Juma Ventures. Prior to entering the social enterprise space, David worked in corporate development and co-founded a start-up in international trade. He began his career as a private equity Analyst with Rosecliff, a private merchant bank. David received his MBA from Columbia Business School and BA from Wesleyan University.